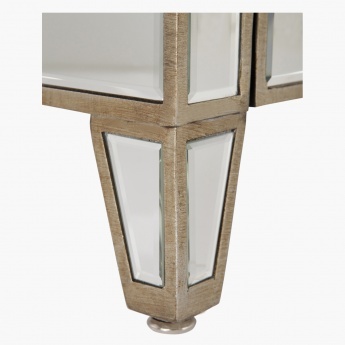 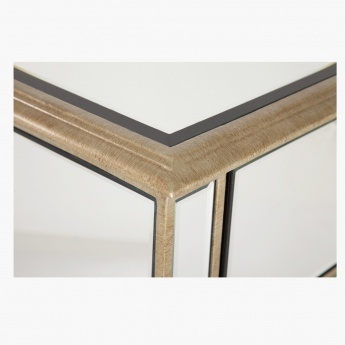 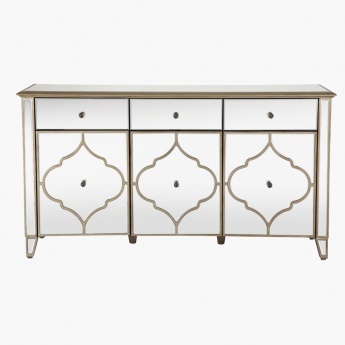 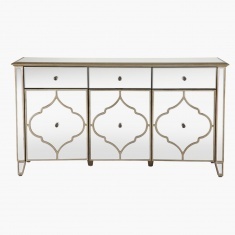 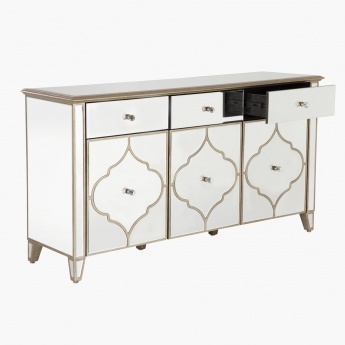 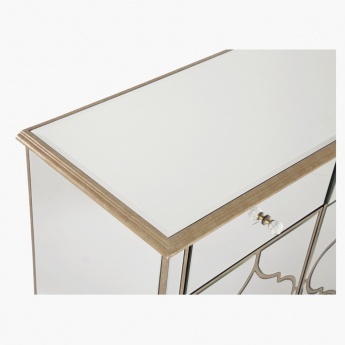 Stylish and classy, this buffet has mirror detailing. 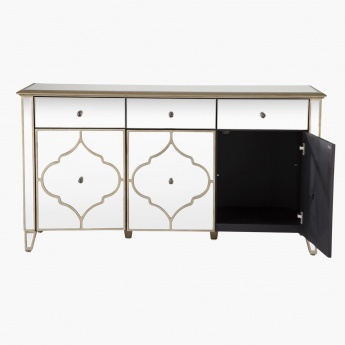 With three drawers, this handy piece of furniture is great for keeping your belongings in order. 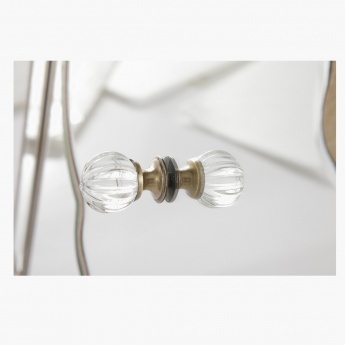 The crystal knobs and its elegant look makes it an excellent pick for your home.